Monaca Moore was lodged in the Marion County Detention Center. 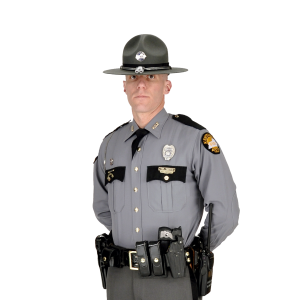 Marion County, KY (April 8, 2019) – Trooper Jake Harper is investigating a collision that occurred on Thursday, April 4th, 2019 at approximately 7:57 PM EST 14 miles south of Lebanon on St. Mathews Church Rd. Monaca Moore, age 39 of Lebanon was operating a northbound 2007 Chevy Cobalt when she lost control and ran off the roadway striking a utility pole. Moore was not wearing a seat belt and transported by EMS to Springview Hospital where she was treated and released. Moore was then arrested by Trooper Harper and charged with DUI 1st offense – aggravating circumstances, reckless driving, criminal mischief, and disorderly conduct 2nd degree. Moore was lodged in the Marion County Detention Center. Trooper Harper was assisted at the scene by Marion County Sheriff’s Department, Raywick Fire Department, and Marion County Rescue.